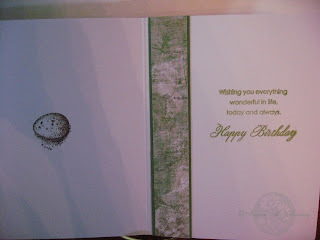 Here is the inside of the card. I am really sorry about the shadows. I guess I need to work on my picture taking abilities. I love "decorating" the inside of my cards. Here I just used a strip of paper from the front adhered to a strip of cardstock, and stamped the little egg from the stamp set on the opposite page. 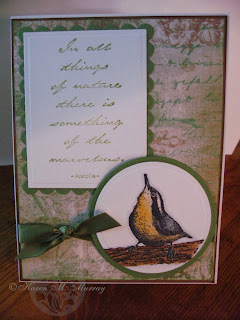 I stamped the sentiment with Papertrey's Birthday Basics set. This is my go-to set for all my birthday cards lately.